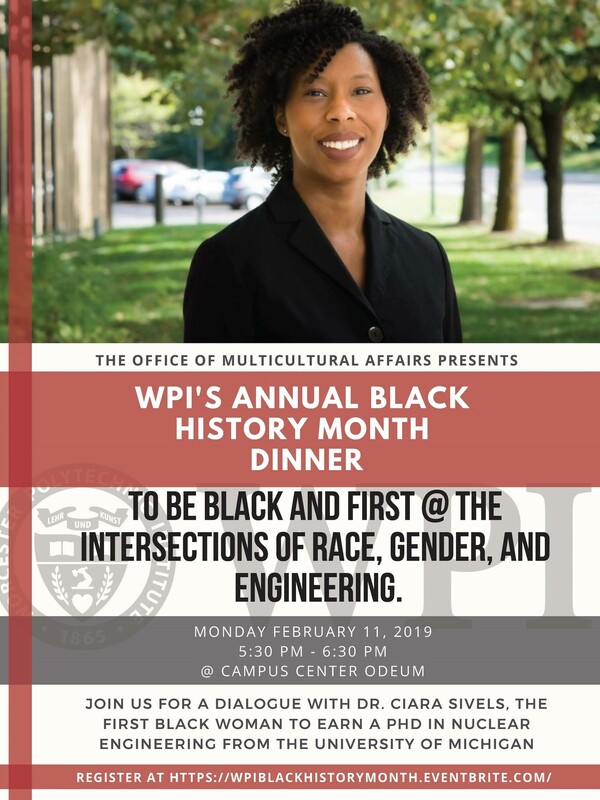 WPI's Annual Black History Month dinner, sponsored by the Office of Multicultural Affairs, will take place on Monday, February 11, at 5:30 p.m. in the Campus Center Odeum. Join us for a dialogue with Dr. Ciara Sivels, the first Black woman to earn a PhD in Nuclear Engineering from the University of Michigan. Space is limited and tickets will go fast. Register today.